In 2006, a friend gave Steve Cleaves a copy of Marshall Rosenberg’s Nonviolent Communication. “It sang to my heart,” Steve recalls. “This is the way I want to live,” he thought. He enrolled in Nonviolent Communication (NVC) courses. Four years later Kathleen Macferran, one of his trainers, asked if he would be interested in volunteering in the prisons. For the past 3 years, Steve has volunteered at the Monroe prisons. “I’m not teaching them. I only provide opportunities for them to learn,” he insists. “I urge them to learn from their personal experiences. I’m just amazed how hungry they are for this type of learning. I’m especially moved when they share everyday stories of trying to solve conflicts, by risking their lives or getting beaten up. I’m so grateful to hear how they try to prevent violence by making personal connections. This year Steve co-facilitates a Wednesday night class; it means leaving the house at 5 pm, returning 4 hours later. He also participates in workshops and leadership training. 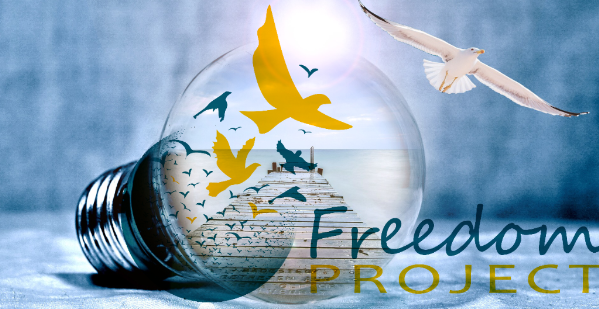 For a recently retired contractor and newly married man with major family responsibilities, Steve’s involvement in Freedom Project is a major commitment.